Over the past week, the creatives involved in the making of Rogue One: A Star Wars Story have been revealing how the story of the film changed through various editions of the script. We've heard about alternate endings, alternate beginnings, and even an alternate death for Director Krennic. 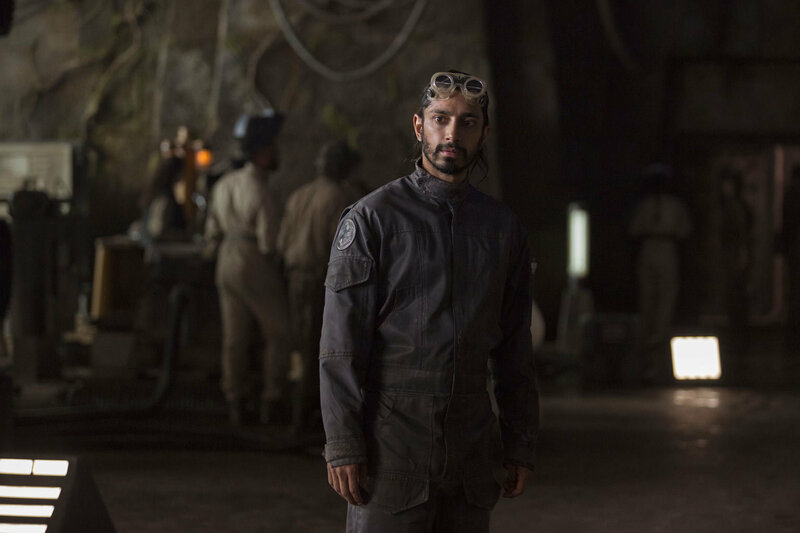 Now, Riz Ahmed has revealed that Bodhi Rook was, at one point, a completely different character. In an interview with EW's Anthony Breznican, Ahmed revealed that Bodhi wasn't always the well-intentioned, if nervous, Imperial pilot turned Rebel. In fact, he wasn't even named Bodhi. "We knew we needed to ditch the U-Wing and get them on that Imperial shuttle that they used at the end. In the finished film, you see that scene happen on Eadu." Director Gareth Edwards also revealed that the change from Bokan to Bodhi came late in the game and that Ahmed had already been cast as Bokan. (He stops short of saying if they actually shot the "Bokan" scenes or not but it definitely sounds like it may have, especially given the highly publicized, extensive reshoots that took place). He explained that they decided to keep Ahmed as Bodhi because the underlying emotions of the character stayed the same, even if the actual story changed. You can read the entire interview with Ahmed, Edwards, and Whitta, where they further discuss the changes to Bodhi as well as his backstory, over at Entertainment Weekly.